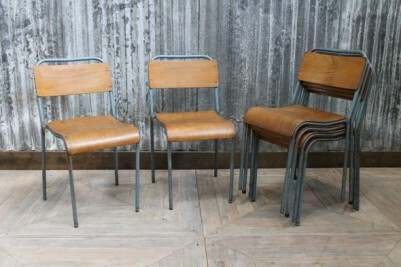 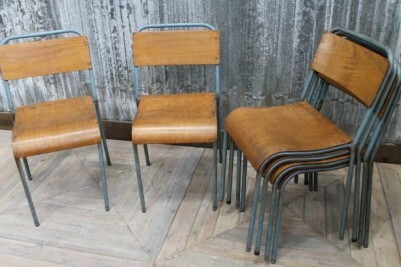 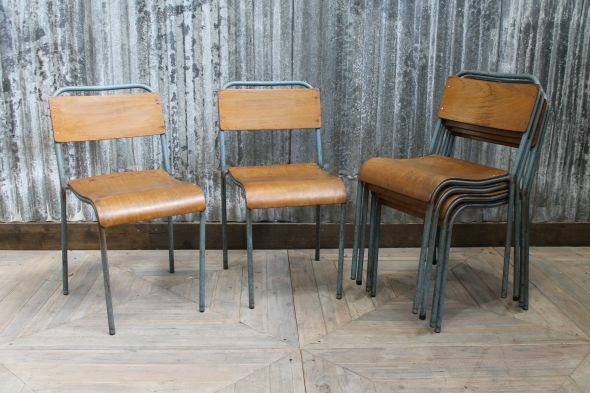 These vintage metal chairs are a great way to add an authentic, industrial edge to any dining space. 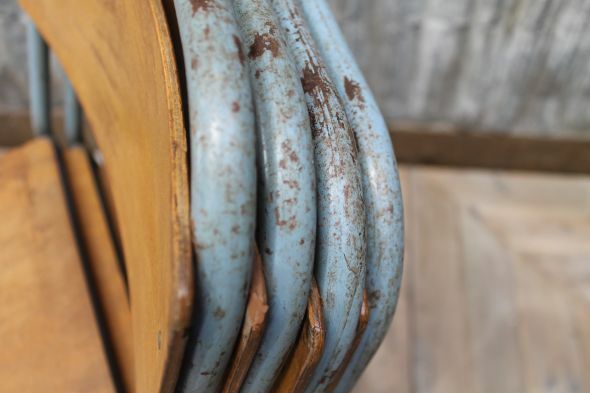 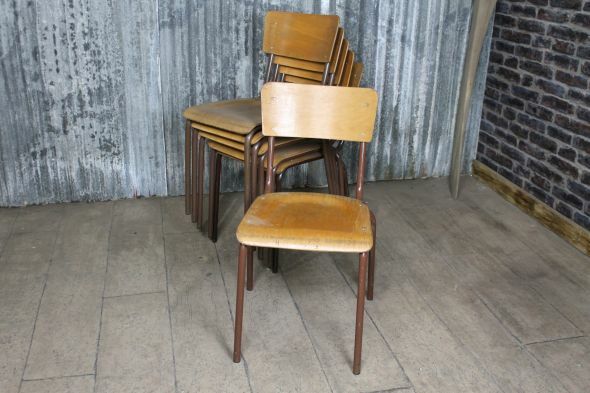 We stock 100s of original stacking chairs; this particular model features aged blue paintwork to the metal frame, and a plywood seat and back. Ideal for bars, cafes, restaurants or domestic properties, these chairs are extremely practical and versatile. 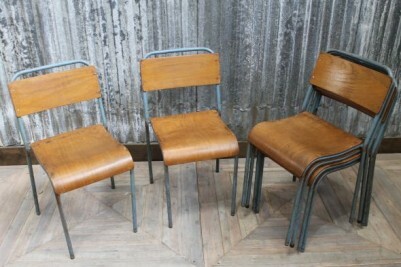 These chairs are in good condition but will have some signs of wear and tear. 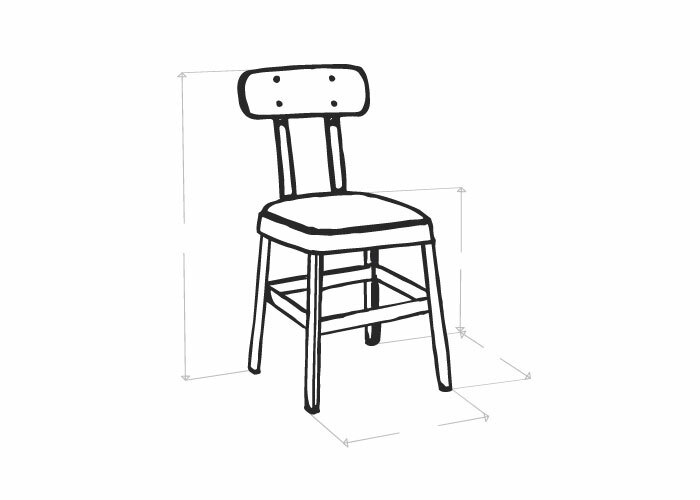 We feel that these imperfections give the chairs their character, and will only add to their appearance over time.